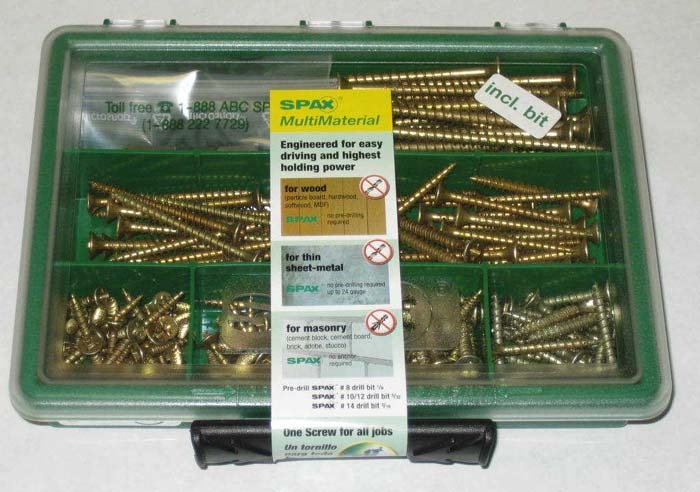 To order Spax screws or view pricing, proceed to the Online Store . 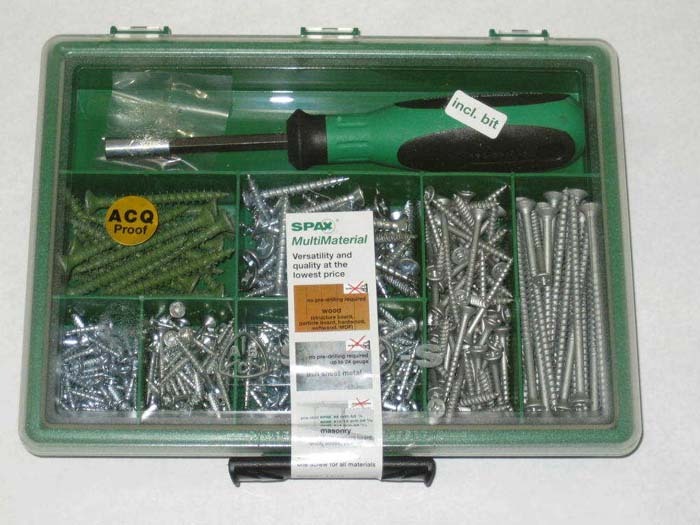 When it comes to screw fasteners for general construction, fine woodworking, automotive and light industrial applications, Spax of Germany has a long history of manufacturing a world class product. 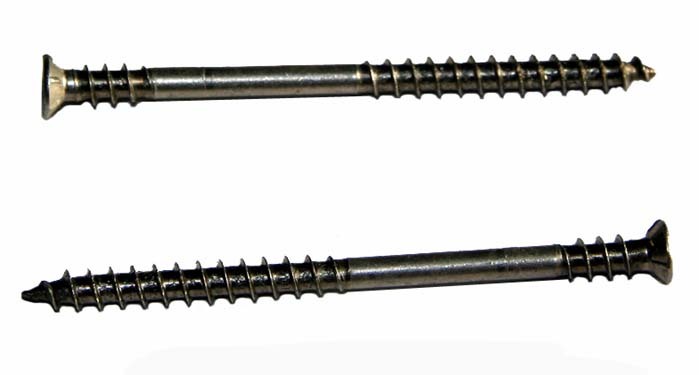 These screws are stronger to resist shearing when using power drivers. Their thread serrations (see photos below) and coatings allow them to drive easier, typically without pre-drilling. Pozidrive, Uni-drive (combination pozi/square drive/phillips) and Torx head designs ensure even the largest screws are driven securely. 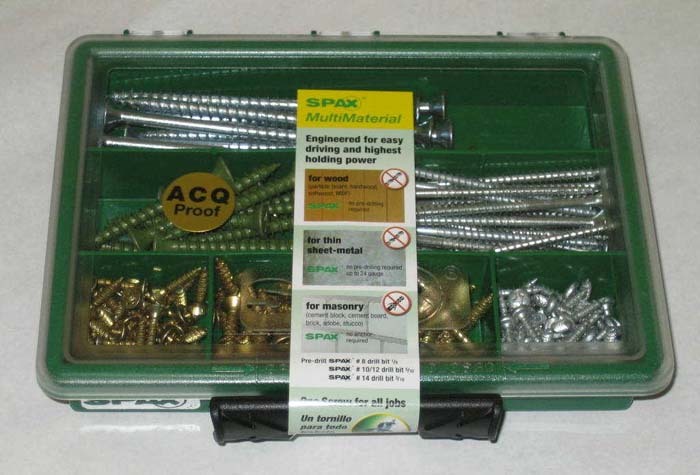 For soft/hard woods, treated lumber, masonry, composite decking, MDF, and thin gauge metals, Ultimate Garage is pleased to add Spax to its inventory of quality fasteners. 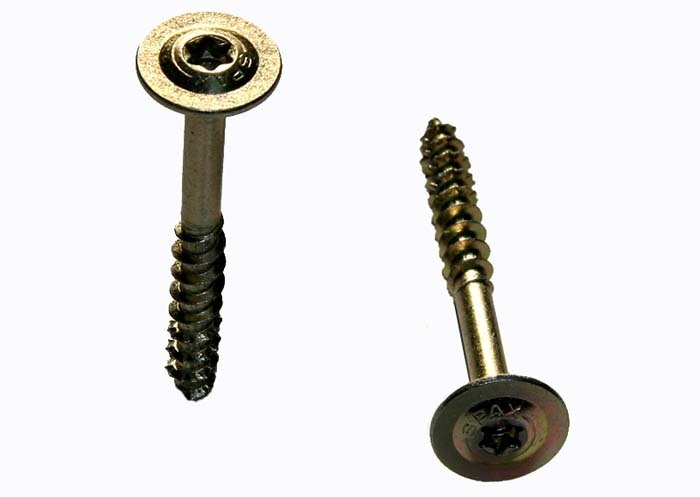 HCR (High Corrosion Resistance) screws - in the process of changing over from a dacromet (grey) to a green finish (color will vary with US availability at this time). The flat bearing surface under the head makes these popular fasteners for the trades - electricians, HVAC contractors, cabinet installers, etc. These fasteners are pozidrive with 8 points of contact with the bit for more effective torque transfer. 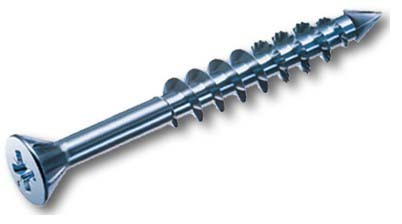 MDF/Edge Arrow Point Partial Thread Screw - specifically engineered for MDF. No pre-drilling necessary. Slender head with the ribbed underside easily countersinks into the material. Silver zinc finish. These fasteners are currently being changed by Spax from pozidrive to torx drive. 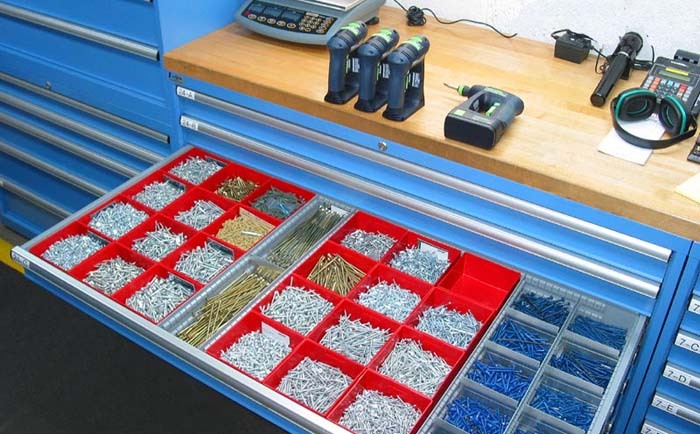 The appropriate drive bit (mfg by Festool / Wiha) is included by Ultimate Garage with the sale of each box of screws. Stainless Steel (square drive) flat head screw with double lock thread. The ultimate outdoor screw...for wood decks, fences, docks, etc. Heavy duty lag screws (in 1/4", 5/16", 3/8" and 1/2" sizes) for interior and exterior applications. Hex head and washer head/torx drive.